This exceptionally rare find in Wash Park is a beautiful and LARGE townhome featuring an open concept kitchen/living/dining area and two bedrooms, each with their own bathroom! The location is unmatched and puts its owner steps from some of Denver's best restaurants and nightlife. The massively vaulted ceilings both in the living area as well as in each bedroom make this over 1600 square feet unit feel palatial. BBQ on your private patio and still have room for entertaining and a small garden. Many updates have made in both master bathrooms, the kitchen and to the gorgeous wood burning fireplace. The final amazing attribute of this home is the additional room and massive closet upstairs from the front master bedroom. Currently utilized as a nursery, this room could house guests, an artist loft or whatever you need. 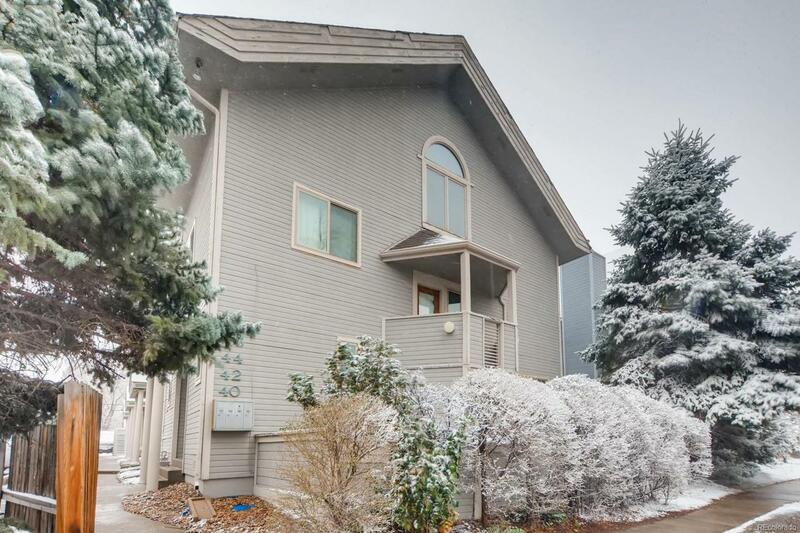 If you're looking for an exceptional location, a massive amount of living space and the minimal HOA that comes with owning a townhome, then you have found THE ONE!